Some people do suffer side effects on the HCG Diet Protocol, such as headaches, tiredness, hair loss, mood swings, high blood pressure, constipation, diarrhea, fatigue, hunger and other symptoms. But they only get these side effects because they have NOT PREPARED THEMSELVES PROPERLY before starting the HCG Diet. If you prepare yourself properly before starting your HCG Journey, then you can sail through HCG easily and effortlessly, lose a HUGE amount of weight, without suffering from any bad symptoms or side effects. 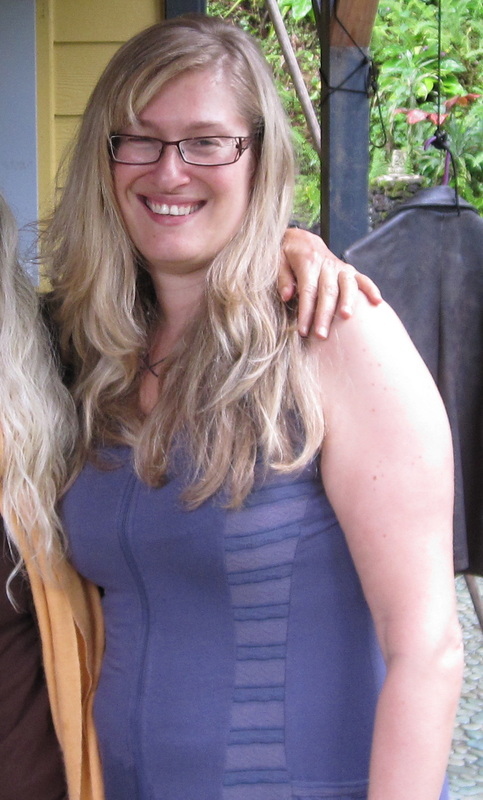 I lost 50 pounds on HCG without ANY side effects! I Did 63 Days Straight on HCG Without SideEffects! In was able to do a super long first round of HCG - 63 injection days! - because I prepared myself properly before I started the Protocol. I prepared myself mentally, emotionally and physically. Because I was so well prepared before I started HCG, I sailed through my entire time on the HCG hormone easily and effortlessly. I did 63 days on the Very Low Calorie Diet (VLCD) Phase 2 without any hunger, tiredness, mood swings, hair loss or any other symptoms or side effects. AND I found the whole things really easy and fun! You can read all about my HCG Journey and you can also go back and watch some of my YouTube vlogs I made while I was doing HCG. Now you have seen with your own eyes how spectacularly successful my HCG Journey was, it is time for YOU to prepare YOURSELF for HCG success too! 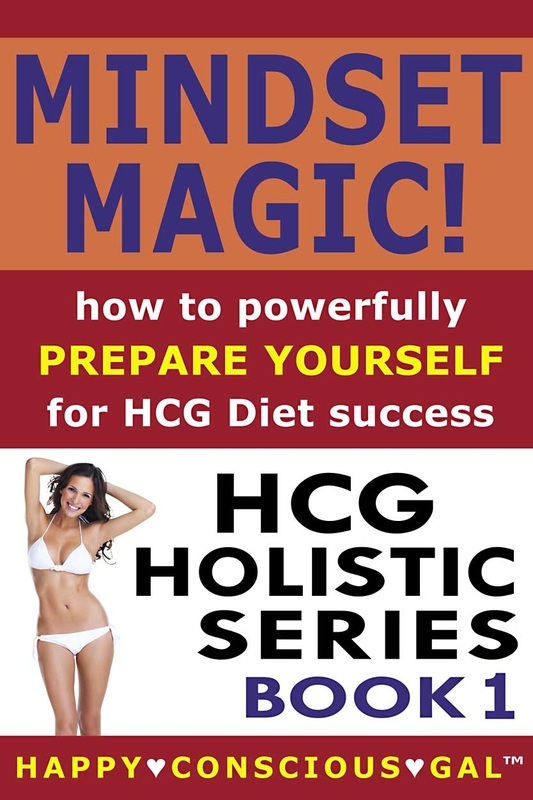 Read how YOU can prepare yourself powerfully for the HCG Diet - on a mental, emotional and physical level - in my HCG Holistic Series Books. Get Tested While You Do HCG - Avoid SideEffects! I made sure my body was staying healthy during my long round of HCG, by getting tested every two weeks at a health clinic. They tested my basal metabolic rate, my muscle tissue mass, my muscle tissue quality, my phase angle and your cellular fluid balance. They found that I was in peak health before I started the HCG Protocol (because I had prepared my body properly). They also found that I stayed in peak health throughout my round of HCG. And in fact, they found that my muscle mass and muscle quality INCREASED because I was actually eating a higher proportion of protein to fat/carbs on HCG than I usually do. Amazing! I recommend you also get tested before and while you do your HCG Protocol. But even more important than that is to MAKE SURE YOU HAVE PREPARED YOURSELF PROPERLY before you start on HCG! I always recommend you do HCG under the supervision of a HCG Clinic, HCG Coach, or at least under the watchful eyes of your family doctor. And make sure you have the support of friends, family and people in the HCG community online. The HCG Diet is NOT a Scam. It Works! Don't let people scare you or put you off doing HCG by telling you it's a scam or telling you it is harmful. It is NOT harmful, it is NOT a scam, and it works beautifully to give you spectacular weight loss without side effects so long as you prepare yourself properly. Read my HCG Holistic Series Books to hear the entire story of my HCG Journey and learn how YOU can also prepare yourself properly for HCG like I did, so you can lose the maximum amount of weight without any symptoms or side effects. Here's How to Blitz Hcg WITHOUT Side Effects! Before you start the HCG Diet, it is important to prepare your BODY, your MINDSET and your EMOTIONS for maximum success. In my HCG Hollstic Series Books, I tell you exactly HOW to do that. I do not just give you the standard basis instructions about what to eat, how much to eat and how to do your HCG injections. You can find that kind of basis stuff all over the internet. Just google it! In my books, I tell you stuff YOU CANNOT FIND ANYWHERE ELSE about how to get a rock solid mindset for your HCG Journey, how to overcome all the emotional issues that are keeping you fat, and how to prepare your BODY to become a fat burning machine on HCG. People think that all they have to prepare is their BODY before starting HCG. This is not true. It is extremely important to prepare your MINDSET so that you can stay motivated and focused throughout your time on HCG and so you can resist the urge to cheat on the Diet. Find powerful motivations to stick with the Diet through thick and thin. Get past any doubts you have leftover from previous dieting experiences. See your HCG Journey as a period of opportunity rather than deprivation. Get your Subconscious on board to help you stick to the HCG Diet rules. Set realistic goals for your HCG journey. Shift any limiting beliefs that could undermine your HCG success. Come into the HCG Journey from a deep place of trust on all levels. And once you have a rock solid mindset for HCG Sucesst, it is then important to prepare yourself emotionally for the HCG Diet. There are ALWAYS underlying emotional reasons why people get fat. If you don't look at those, then even if you lose lots of weight on HCG you will just put it all back on again once the diet is finished. And if you don't deal with your emotional eating issues, then you are going to find it VERY hard to stick to the rules of the HCG Protocol. You will cheat on it and gain weight and then hate yourself for it. I believe it is CRUCIAL to work on your emotional issues before you start your HCG Journey, so you have maximum success on the HCG Diet without stress, struggle and disappointment. Deal with the stresses of life without resorting to emotional eating. Understand the nature of emotions and deal with them more effectively. Analyze the patterns in your body history to see WHY you are overweight. Examine how your fat has served you in your life & what it represents. Face your deepest fears and addictions. Set boundaries, speak your truth and express your anger in a healthy way. Resolve your body distortion and see yourself as you really are. Call a truce with your body, so it can work WITH you to shed fat. Once you have read my first two books and prepared your mindset and emotions for HGC diet success, it is now time to prepare your BODY so it can be a fat burning machine! Transition into the rest of your life as a healthy, slim person! People all around the world have had great success on their HCG Journey due to reading my "HCG Holistic Series" books and watching my HappyConsciousGal YouTube Vlog. They are people just like you who dreamed of losing weight and managed to pull it off, with my help. And you can too! Read what they have to say about my inspiring books. It brings me so much happiness to know that I am helpful people through my vlog and through my books. I received SO MUCH support from the HCG community when I did my HCG Journey in 2012. I feel so blessed to be able to give back to you all in this way. Do yourself a favour. CLICK HERE to go right now to Amazon and download my "HCG Holistic Series" books. My books are currently available on Amazon as Kindle ebooks. Don't worry you can read them even if you don't have a Kindle! All you need to do is download a free kindle reader, then you can read the books on your computer, on your phone or on your iPad. Easy peasy! If you want to lose huge amounts of weight on the HCG Diet Protocol easily, without side effects... then read my "HCG Holistic Series" now!